Please find attached agenda for the General Meeting to be held at the Roma Administration Centre on April 10, 2013 at 9.00am. To be held at the Roma Administration Centre on 24 April 2013. Mayor Cr. R S Loughnan chaired the meeting with, Deputy Mayor Cr W S Wason, Cr. J L Chambers, Cr. R J Denton, Cr P J Flynn, Cr. W M Newman, Cr. C J O’Neil, Cr. M L Price, Cr. D J Schefe, Chief Executive Officer – Julie Reitano, Coordinator – Corporate Communications – Jane Frith, and Kelly Rogers Minutes Officer in attendance. Director Community & Commercial Services – Tony Klein, (Acting) Director Infrastructure Services – Michael Parker, Manager Customer Service Facilitation – Samantha Thrupp, Coordinator Planning – Danielle Pearn, Specialist Development Engineer – Ruth Golden. The Mayor welcomed all present and declared the meeting open at 9.06am. There were no apologies for the meeting. That the minutes of the General Meeting (4-13.03.13) held on 13 March 2013 be confirmed. The Financial Sustainability Report for the period to 28 February 2013 together with a summary of Council’s actual performance at sub program level against Council’s approved budget (as amended in December Review) was presented for Council’s consideration. Cr. Price commended staff on production of a well written and concise financial report. That the progressive Financial Statements for the period to 28 February 2013, as included in the Financial Sustainability Report, be received subject to audit. The Healthy Communities Initiative (HCI) promotes health and wellbeing within the Maranoa Region as per the funding agreement. The Bike Blender is a fun interactive way to demonstrate both good nutrition and physical activity. To purchase the produce required to promote this health initiative a cost needs to be applied to the individual sale of smoothies. As per Council’s policies, this fee needs to be reflected in the fees and charges register. That Council endorse the inclusion of a $2.00 fee per drink (including GST) for hire of the HCI Bike Blender Smoothie in Maranoa Regional Council’s Fees and Charges Register. Maranoa Regional Council is eligible to submit projects for funding under the State Library of Queensland Vision 17 Grants Program (Creative Community Spaces) and the Opal Grants (Wi-Fi in Libraries). Applications close 29 March 2013. The following projects are eligible and have been identified in consultation with Maranoa Library Staff and the State Library of Queensland. The Director Community & Commercial Services advised Council that officers would not be in a position to progress the application by the required due date for this round of funding under the program. That Council receive and note the officer’s report, accepting withdrawal of the report based on advice received from the Director Community & Commercial Services. Council at its General Meeting on 28 November 2012 adopted an Interim Grids and Gates Policy. Over the Christmas/New Year period, Council staff undertook a compliance audit of all gates and grids within the Region. 1) Amendments to the interim grid policy in order to streamline the process of approvals for the licensing of grids and gates. 2) The initiation of a course of action for Council to address the findings of the compliance audit. Council determined that the matter should be further reviewed by full Council at an upcoming Workshop. That the matter lay on the table for further consideration at a future General Meeting, following further discussion at a Council Workshop on 3 April 2013. Council received requests from two (2) property owners for maintenance and improvement works on a property access road off Burtons Road. 1. Council not approve the received requests, as Council currently provides both property owners direct access to Burtons Road. Should either of the property owners wish to carry out any further works on an alternative access, these would be undertaken at full cost to the applicant. 2. The Chief Executive Officer make contact with the the Department of Transport and Main Roads to clarify the designated School Bus Route for Burtons Road and connecting roads. Council approved an application for a Development Permit for a Material Change of Use - Medium Impact Industry (Sewage Treatment Plant) and Environmentally Relevant Activity 63 - Sewage Treatment on land at 1750 Orallo Road, Euthulla QLD 4455 and described as Lot 46 on WV 941. The approved development is experimental in its aim of using sewage water as an input to sustainable agriculture. The treated water will be used to drought-proof part of an agricultural property and expand its productivity. The acceptance and treatment of the sewage water also adds an income stream to a rural property. If successful, the experience gained will be applied to other locations. Lot 46 is 20.9 hectares. Road frontage of Lot 46 is 445 metres. Lot 46 is part of a larger group of properties owned and occupied by members of the Garland family. The proposed development is consistent with the provisions of the Bungil Shire Planning Scheme 2006 in that it proposes an industrial use in a rural area where that industrial use is related to rural production and is generally consistent with the performance criteria for industrial uses in the Rural Zone Code. The site is identified as Good Quality Agricultural Land and is used for grazing and agriculture but the very small loss of the GQAL land in the Rural Zone to industry is outweighed by the improvements to the overall sustainability and viability of the property as a whole. 1. Reduction in the approved infrastructure contributions charges from $0.01 per litre to $0.005 per litre. 2. Proposed infrastructure agreement be designed to ensure the road infrastructure contributions are used on the upgrading of Orallo and Euthulla Roads. 3. Scope to increase the total volume of liquid carried from 50,000 litres to 100,000 litres per day. 4. Returns made to the Department of Environment and Heritage Protection be used as the basis for calculating the road infrastructure contributions rather than installing a road counter on the premises. 5. Use of B Doubles and road trains be allowed on Orallo and Euthulla Roads to transport waste water to the site. Council determined that the matter should lay on the table for further discussion at a later point during the meeting pending further information from the investigating officer. That the matter lay on the table for further discussion at a later point during the meeting, pending further information from the investigating officer. The application sought a Development Permit for Assessable Building Works involving a Residential Outbuilding exceeding 82m2 gross floor area (GFA) in the Residential Zone. The outbuilding is proposed to be located at 4 Allenby Court, Roma, described as Lot 12 on RP1771548. 1. A Development Permit for Building Works must be obtained prior to commencing construction of the outbuilding. 3. The outbuilding must not be used as a habitable building or for commercial or industrial business purposes without the prior consent of Council. 4. The northern and southern elevations of the outbuilding are to remain open-sided in accordance with the approved plans and must not be enclosed with walls or doors of any kind at any time. 5. Landscaping is to be provided with a minimum width of 1.5 metres adjacent to the southern and western boundaries of the site for the length of the building elevation. Vegetation is to comprise species that will provide screening. That Council approach State Government requesting the potential use of the vacant lot beside the ambulance station as a Council car park to help alleviate the parking congestion in the Roma CBD. Due to increased demand on Injune’s water supply, born from the energy sector, the town of Injune has experienced adverse effects on the potable water supply and pressure. The report was an update on MRC plans, and recommendations for the mitigation of problems arising from lack of pressure and flow for the Injune community. Council enquired on timeframes for the availability of the Avdata Water Standpipe Facility being commissioned. The Acting Director Infrastructure Services advised that works will commence in May 2013 and are estimated to be completed by the end of June 2013. 2. The Injune water standpipe cease operation from May 1, 2013, until the new Avdata Water Standpipe facility is commissioned. Cr. O’Neil declared a potential ‘Perceived Conflict of Interest’ in the following item, due to his employment with the Queensland Murray Darling Committee, in that the organisation is currently investigating the development of a Waste Management Strategy for the Queensland Murray Darling Basin, for which Maranoa forms part. Cr. O’Neil elected to remain in the Chamber for discussion and debate on the item. Council is required to develop a Waste Management Strategy for the Maranoa region under the Waste Reduction & Recycling Act 2011. Endorse the Chief Executie Offier to commence negotiations with Origin Energy, with a view to forming a joint funding partnership in delivery of this project. A letter was received from the Minister for Transport & Main Roads (TMR) - Scott Emerson MP, seeking Council’s input into a comprehensive review being undertaken by TMR to improve the network of government-contracted long distance passenger transport services in regional Queensland. That the letter be noted and Council’s views be provided to the Chief Executive Officer at the next workshop of Council on 3 April 2013 for development of a submission in response to the Minister’s request. Council adjourned for morning tea at 10.07am. Council resumed the meeting at 10.40am. That Council close the meeting to the public at 10.42am. Cr. O’Neil left the Chamber at 11.03am. Cr. O’Neil entered the Chamber at 11.05am. Cr. O’Neil left the Chamber at 11.34am. Cr. O’Neil entered the Chamber at 11.38am. Cr. Flynn left the Chamber at 11.44am. Cr. Flynn entered the Chamber at 11.46am. That Council open the meeting to the public at 12.31pm. Council adjourned for lunch at 12.31pm. Council resumed the meeting at 1.22pm. Cr. Newman entered the Chamber at 1.25pm. The site is identified as Good Quality Agricultural Land and used for grazing and agriculture but the very small loss of the GQAL land in the Rural Zone to industry is outweighed by the improvements to the overall sustainability and viability of the property as a whole. Follow receipt of further information from the investigating officer, Council again resumed discussion and debate on the matter. 2. Proposed infrastructure agreement is designed to ensure road infrastructure contributions are used on the upgrading of Orallo Road and Euthulla Road and other roads impacted by the development. 3. Ability to increase the total volume of liquid carried from 50,000 litres to 100,000 litres per day subject to meeting nominated criteria. 4. Returns made to the Department of Environment and Heritage Protection be used as the method for calculating the road infrastructure contributions instead of using a road counter on the premises. 5. Use of B Doubles and road trains on Orallo and Euthulla Roads subject to roads being upgraded to minimum standards and restrictions on operating times. 1. Complete and maintain the approved development as follows: (i) generally in accordance with development approval documents and (ii) strictly in accordance with those parts of the approved development which have been specified in detail by the Council unless the Council agrees in writing that those parts will be adequately complied with by amended specifications. 2. The developer will be required to create an easement for access purposes over Lot 40 on WV837 in favour of Lot 46 on WV941 within two years of the commencement of the use. 4. The stormwater drainage system to service the development shall be in accordance with Queensland Urban Drainage Manual (Volume 1 text, Volume 2 Design Charts), Australian Rainfall and Runoff (Volume 1 A guide to Flood Estimation), and Capricorn Municipal Development Guidelines (CMDG) Design Guidelines D-5 ‘Stormwater Drainage Design’. 5. Post-development stormwater runoff flows, whose characteristics include volume, concentration and velocities, from the development site are not to exceed pre-development stormwater runoff flows to adjoining properties. 6. Any increase in volume, concentration or velocity of stormwater from the property being developed shall be channelled to legal points of discharge or to other storage, dispersal or disposal arrangements which shall be agreed in writing by the Council. 7. Stormwater shall not be allowed to pond on the property being developed during the development process and after the development has been completed, unless the type and size of ponding has been agreed in writing by the Council or as a specific development approval condition. 8. The developer shall ensure that in all cases, discharge of stormwater runoff from the development drains freely to the legal points of discharge for the development and that no nuisance of ponding is created within the vicinity of the development. 9. There shall be no increases in any silt loads or contaminants in any overland flow from the property being developed during the development process and after development has been completed. 10. The maximum quantity of waste water that can be transported to the site is 50,000 litres per day averaged out over a 7 day period for the 12 months. a. The first 12 months road works program or any subsequent road works program required by an infrastructure agreement has been completed to the required standard. b. Independent review shows that the overall road condition has not deteriorated from the heavy transport vehicles associated with the approved activity, taking into account of the impacts from other road users. c. Provision of a bank guarantee of $110,000 for a further 12 months after the commencement of the increased use. The bank guarantee is to be provided before the increased use commences. d. The infrastructure agreement covering the use of road infrastructure contributions is worded so that the agreement is automatically extended to operate for five years from the date of commencement of the increased use. 12. Road trains are not permitted on Orallo Road for the transport of waste water to the site for treatment until 98% of the road meets the minimum specification of 6 metres of seal and 8 metres of carriageway. 14. The access from the property onto Orallo Road must be suitable for heavy vehicles to remain on the constructed roadway when entering and leaving the site with sight lines appropriate for the speed limit for that section of roadway in accordance with Capricorn Municipal Development Guidelines (CMDG) D1 ‘Geometric Road Design’ Guidelines for Rural Design Criteria, and all roadworks shall be carried out in accordance with Manual of Uniform Traffic Control Devices (Queensland) (MUTCDQ) Part 3 requirements for roadworks on roads. 15. The pavement design for all roadworks shall be confirmed after in-situ subgrade testing has been carried out prior to construction of the pavement formation. The pavement design report along with the test results shall be provided to Council for approval prior to placement of pavement materials. 16. Roadside guide posts shall be installed to Manual of Uniform Traffic Control Devices (Queensland) (MUTCDQ) requirements and specifications with additional guide posts provided at vehicle cross-overs and underground drainage works. 17. The landowner shall be responsible for construction and maintenance of vehicle driveways from Orallo to the property boundary and for obtaining any approvals that may be required and for complying with the applicable designs and standards. 18. All vehicular access and related items must comply with (i) the development approval conditions, (ii) any relevant provisions in the planning scheme for the area including Schedule 2: “Standards for Roads, Car Parking, Access and Manoeuvring Areas”, (iii) Council’s standard designs for such work where such designs exist, (iv) the Capricorn Municipal Development Guidelines (CMDG) Design Guidelines – D1 ’Geometric Road Design’ and (vi) any alternative specifications that Council has agreed to in writing and which the developer must ensure do not conflict with any requirements imposed by any applicable laws and standards. 19. The sewage treatment plant must have its own power supply even when connected to the local electricity supply. 20. All services installation, including sewer, water, electricity and telecommunications connections to the respective networks, must comply with (i) the development approval conditions, (ii) any relevant provisions in the planning scheme for the area, (iii) Council’s standard designs for such work where such designs exist (iv) any relevant Australian Standard that applies to that type of work and (v) relevant Capricorn Municipal Development Guidelines (CMDG) Design Guidelines that Council has agreed to in writing and which the developer must ensure do not conflict with any requirements imposed by any applicable laws and standards. 21. The development is subjected to the Filling and Excavation Code detailed in the Bungil Shire Council Planning Scheme Part 5 with the modified requirement that retaining walls shall be used where batter grades exceed 25%. 22. All earthworks for the development shall be undertaken in accordance with Capricorn Municipal Development Guidelines (CMDG) D6 ‘Site Regrading’ Design Guidelines for residential development. Earthworks within drainage pathways shall be accompanied by a Site Specific Stormwater Drainage Report detailing impacts of such earthworks on surrounding properties. 23. If there is a possibility of erosion or silt or other materials being washed off the property being developed during the development process, the developer must document and implement a management plan that prevents this from occurring. 24. Any construction works on site are to be undertaken in accordance with the Soil Erosion and Sediment Control Engineering Guidelines for Queensland Construction Sites (IE Aust – or later versions). 25. Where another condition refers to a specific published standard, manual or guideline, including specifications, drawings, provisions and criteria within those documents, that condition shall be deemed as referring to the latest versions of those publications that are publicly available at the time the first operational works or compliance approval is lodged with the assessment manager or approval agency for those types of works to be performed or approved, unless a regulation or law requires otherwise. 26. All civil and related work shall be designed and supervised by RPEQ Registered Professional Engineers of Queensland (RPEQ) who are competent in the construction of the works. 27. Any damage to roads and infrastructure, that is attributable to the progress of works on the development site or to vehicles associated with the development of the site, shall be repaired to at least the previous condition and at no cost to Council or, if the Council agrees, the cost of repairs may paid to Council for the Council to carry out the repairs. 28. It is the developer’s responsibility to document by photographs the previous condition of existing roads and infrastructure and to supply Council with a digital set of these photographs prior to any works commencing. 29. The developer must pay $20,000 towards the cost of upgrading the local roads between the site and the nearest state-controlled road. 30. The developer must pay $0.005 per litre of waste water carried the local roads between the site and the nearest state-controlled road. This contribution is for the upgrading and maintenance of the roads and applies for 5 years from the commencement of the use. After 5 years, the Council may consider an increase in rates applicable to the use of the property and its impact on the road system. The contribution is to be paid quarterly. a. Establishment by the Council of an annual works program for the upgrading of Orallo Road at the beginning of each year. b. The cost of this annual works program is to be based on the estimated annual contributions to be received during the year. c. Any road works undertaken using the infrastructure contributions must accord with the annual works program. d. Providing the applicant meets the construction standards set by the Council, including engineering supervision, the applicant can organise and implement the annual works program through private contractors. e. If the applicant undertakes the road works, an operational works application will be required. f. If the applicant elects not to undertake the annual road works program, the applicant must pay the Council the contributions for the annual works program every three months. g. If the applicant elects not to undertake the annual road works program, the Council may undertake the required annual road works or Council can contract out the works. Council will need advance notice to include the work in its annual program and can give no guarantee that the work will be completed within a particular timeframe. h. During the first year, the applicant is to complete road works equivalent to at least the estimated annual contribution. i. During each successive year, the applicant is to complete road works equivalent to the estimated annual contribution. j. The applicant will be given credit in a subsequent year where the works undertaken by the applicant in a particular year exceed the estimated or actual infrastructure contributions required for that year. k. A bank guarantee of $110,000 is to be provided by the applicant to the Council within six months of the commencement of the use to provide security for road contributions in the first year. This bank guarantee can be reduced as road works are undertaken. l. The timing for the annual road works program is offset from the annual contributions period by six months. 32. The developer is to maintain records of all heavy vehicles and their loads of regulated and unregulated waste water transported to the site and provide Council with a summary within 14 days of the end of every quarter. 33. The developer is to provide Council with a summary of all returns that are made to the Department of Environment and Heritage Protection (DEHP) for the transport of regulated and unregulated waste water to the site within 14 days of the end of every quarter. 34. The developer is to provide Council with access to the original records used to create the quarterly summaries. 35. All development approval conditions related to the approved development must be fulfilled prior to uses commencing. 36. The developer is responsible for meeting all costs associated with the approved development unless there is specific agreement by other parties, including the Council, to meeting those costs. 37. Costs associated with the approved development to be met by the developer include all costs of survey, easement preparation, agreement preparation, covenant preparation, document lodgement, plan approval and land transfers. 38. All rates and charges of any description and all arrears of such rates and charges, together with interest outstanding thereon, on the land, due to Council, shall be paid prior to the Council approving any Plan of Survey and prior to the use commencing. 39. All development approval conditions related to the establishment of the approved development must be fulfilled prior to any Plans of Survey being approved by the Council as assessment manager and prior to the use commencing. 40. To remove any doubt, this development requires operational works to be approved and completed. The report outlined recommended changes to the structure of the Department of Customer Service Facilitation. These proposed changes were referenced in the report prepared by the Chief Executive Officer for the meeting of Council on 13 February 2013. Further that the results from the consultation period be presented to Council for further consideration at the General Meeting on 10 April 2013. The purpose of this report was to recommend to Council a supplementary schedule of fees and charges in relation to commercial activities being undertaken on Council’s road network. This contract is for the restoration of flood damaged roads and associated infrastructure in the North East Region of Maranoa Regional Council. Tender invitations were forwarded to all six contractors on Council’s elected panel with two (2) proposals received for consideration. That Council award the contract for restoration of flood damaged works in the North East Region, NDRRA Tender Number 13/25, for the sum of $9,388,529.75 + GST to FK Gardner & Sons Pty Ltd. This contract is for the restoration of flood damaged roads and associated infrastructure in the South East area of Maranoa Regional Council. Tender invitations were forwarded to all six contractors on Council’s elected panel with four (4) proposals received for consideration. That Council award the contract for restoration of flood damaged roads in the South East Region, NDRRA Tender Number 13/26, for the sum of $7,440,659.51 + GST to F.K. Gardner and Sons Pty Ltd.
Council called for quotations from suitably experienced civil engineering contractors to carry out road widening works on the Yuleba – Taroom Rd. Ch. 24000m to 38166m. The proposed works also include upgrades of Yuleba – Taroom Rd. intersections with Horse Creek Rd. and Reedy Creek Rd. Responses closed on 8 January 2013 and have been assessed and ranked. That Council award tender number APLNG-WP3 to PentaCon Pty Ltd at an estimated value of $5,003,581.00 (excluding GST) on the prior receipt from APLNG of a purchase order to cover the contract amount of $5,003,581 (excluding GST). The purpose of this report was to keep Council informed of road related Energy Sector Activities within the Maranoa Region. That the content of the report be noted. There being no further business, the Mayor thanked Council for their attendance and declared the meeting closed at 2.16pm. These Minutes are to be confirmed at the next General Meeting of Council to be held on 10 April 2013, at Roma Administration Centre. The Queensland Music Festival is seeking an in kind contribution and an additional cash contribution for the 13th July 2013 event in addition to the financial payments allocated by Council in the 2012-2013 and 2013-2014 budgets. That Council approves the requests of the Queensland Music Festival for an in kind contribution of $7,637 and considers the request for an additional $1,682 cash funding for the event. The Queensland Music Festival is confirmed for the 13th July 2013 at the Bassett Park Complex in Roma. In accordance with the sponsorship agreement between the Maranoa Regional Council and the QMF, Schedule 1: Reference Schedule states at Item 4 that the Maranoa Regional Council’s obligations are for a cash contribution of $35,000 plus GST, to be paid in installments of $17,500 plus GST. Payment dates have been scheduled for the 4th March 2013 and the 8th July respectively. As at Item 4 of Schedule 1: Reference Schedule, the in kind contribution is to be negotiated with the Maranoa Regional Council and the Queensland Music Festival. - Electrician to assist with set up and pull down to ensure electrical safety at the event. Council endorsed the Queensland Music Festival in principle with the view that an in kind contribution was also required. Some of the requests are able to be sourced internally, however requests such as providing security and an electrician will need to be sourced externally. Corporate Plan 2009-2013 — 8.4.4(a) To develop community capacity and encourage community engagement with arts and culture so as to address the identified needs and opportunities to enhance the quality of life and wellbeing for residents of our region. Council has previously resolved to provide a range of options to Queensland Health regarding the naming of the Mitchell MPHS extension. Subsequent correspondence from Queensland Health has requested that Council provide its single preferred naming option for the facility. That Council advise Queensland Health that its preferred option for naming of the Mitchell MPHS extension facility is ‘Maranoa Place’ and that if not acceptable to the Minister for Health that the other names previously provided to the department should be considered in preferred order as determined by Council. 3. Council submit the full listing of suggested names, inclusive of those put forward by the MRVASC for the Minister’s consideration. Correspondence was forwarded to Queensland Health (QH) on the basis of the resolution and is an attachment to this report. Corporate Plan 2009-2013 — 8.4.7(c) To provide an advocacy role for the provision of health services and facilities as required so as to address the needs of residents in the region. With the imminent completion of the Mitchell MPHS Extension project, Council considers it timely to offer some alternative naming options for the building. From our previous discussions, the Minister for Health has sole discretion on the naming of any buildings on Queensland Health property. As you would be aware, the previous local government area incorporating the Mitchell community was the Booringa Shire Council and the suggestions offered by the MRVASC reflect this previous association. It would be greatly appreciated if you could pass these naming options on to the Minister for his consideration. If you need more information regarding this matter please contact Tony Klein, Director Community & Commercial Services on 0427 235155 or 1300 007 662. Council has received a request for the installation of culverts on Eurella Settlers Road as sections of the road are impassable following rain events. The applicant has advised Council that there are sections of Eurella Settlers Road that are impassable following rain events. He has requested that the road be upgraded to a standard that can be trafficked in a two wheel drive vehicle in all weather. Council has several options to improve this road to a standard trafficable by a two wheel drive vehicle. Basic drainage improvements could be carried out under a road maintenance regime. Gravel pavement placement or replacement may be prioritized according to existing condition. The waterway crossings could be improved through (a) cement stabilization of pavement, (b) construction of concrete floodways or (c) installation of culverts. Any upgrade works could be staged. Total Capital cost of $288,000; increase in annual renewal cost of $2,666.67 (based on highest annual capital renewal cost). 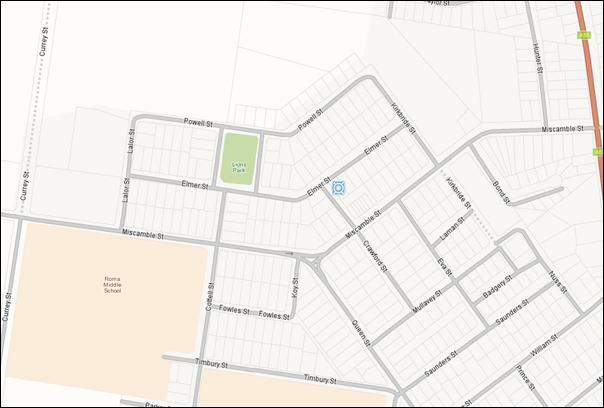 Names are sought for four unnamed roads located in the development at 43-49 Currey Street Roma, also described as Lot 9 on SP180949. That Council name the roads which are outlined in the attached map “Dobel Way”, “Wheeler Drive”, “Dawson Court” & “Olsen Court”. 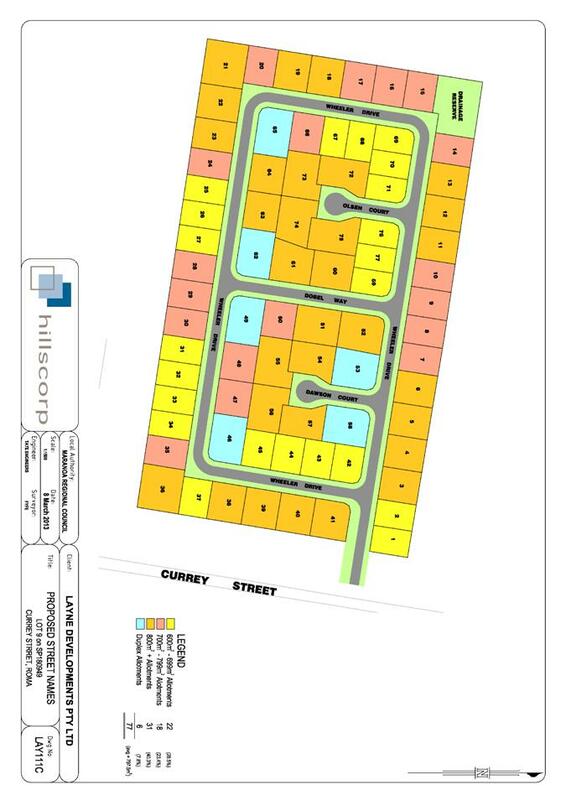 Council has received a request from Hillscorp for street naming approval for the four new roads to be created as part for the development at 43-49 Currey Street Roma. The roads are required to be named before addressing can be provided and to support emergency service access. A subsidy of $400,000 was approved by Transport and Main Roads (TMR) to extend Primaries Road through to the sale yards. As per a previous Council resolution, this construction is not going ahead. Options to transfer the subsidy to another project was discussed with TMR who advised that due to funding constraints, an alternative project will need to demonstrate high priority and be of regional significance. The upgrade of the intersection of the Carnarvon Highway and Airport Drive was identified as meeting the above criteria and will provide benefits to Council and TMR. Council advise TMR that the works planned for Primaries Road, Roma will not go ahead until the outcomes of the planning study for heavy vehicles and Type 2 Road Trains are known and request that the subsidy of $400,000 to be transferred to the upgrade of the intersection of the Carnarvon Highway and Airport Drive. A subsidy of $400,000 was approved under the Transport Infrastructure Development Scheme (TIDS) provided by TMR for the extension of Primaries Road to provide an additional access to the sale yards. This subsidy was provided on the basis Council matched the subsidy and that the funds need to be expended by 30 June 2013. With the current funding constraints, TMR have advised that if Council wishes to transfer this funding, consideration will only be given to high priority projects with a regional significance and works will need to be completed by 30 June 2013. A review of Council’s current capital works program has not identified any projects that would meet the criteria. These funds were awarded to Council on a matched funding basis. Council will not be required to match the allocation if it is transferred to a TMR project. At a recent meeting with TMR, it was suggested that an option to transfer the subsidy of $400,000 to the upgrade of the intersection of the Carnarvon Highway and Airport Drive may be considered as current funding for this project is extremely tight. Transfer of this allocation to this project will ensure the funds remain in the Roma region. This project is considered a high priority as it will provide improved safety for road users on the local and state road network and improve access to the airport as a major transportation hub for the region. Matching funding of $400,000 will not be required to be provided by Council as works are on the State Network. Corporate Plan 2009-2013 — 8.5.3(a) To undertake any road works maintenance requirements in a planned, responsive and efficient manner for the benefit of all road users. Natalie Haddock has approached Council requesting the installation of kerb and channel in Hasted Street. Hasted Street does not have kerbing on either side but is subject to some stormwater flow. The installation of kerb and channel will assist in retaining some stormwater flow within the cross-section of the roadway. I and the rest of the residents in the street find it overly frustrating that we yet still not have curbed guttering. (with long term rate payers including us) There are approx 12 houses in this street. When a street where the new development on the corner of bowen & Currey st has curbed guttering, a pot holes free road get this benefit but not even an existent street on the town map, but ours has nothing at all but pot holes forming and is like a one road street. Another issue when it has a serious downfall of rain the water runs straight underneath our house and through our shed (approx1-2inches high) this also add to having extremely more amounts of mosquito's. We all also believe that because of this it makes the street look untidy. I am writing to you on behalf of Council with regards to your concerns relating to inadequate drainage in Hasted Street. I would like to apologise on behalf of Council for you not having received a reply earlier. With regards to the kerb and channelling on Courtney Street, this kerb and channelling was paid for by the developer who bought the land along the southern side of Courtney Street. The reason it was replaced was because it started to fail as a result of the expansive nature of the underlying black soil. I recognise that there is a need for better drainage on Hasted Street. Council will be undertaking a detailed survey of Hasted Street and the surrounding area to help identify specific drainage issues and traits with the view to rectifying the problem. If you have any questions please contact Paul Cummins on 4624 0723 in the first instance. in the office a few weeks after the flood occurred in February but I have not received a reply or nothing. I did have attached photos but I suppose photos won't do it justice neither. We have heard that Courtney street behind us has one side of the street done with curbed guttering but not the other & that the council is ripping that up & re-doing the curbed guttering on the existing side. there is nothing else that we can do in our street for the water to flow away. As I said before in the below email, it simply makes the street look untidy ESPECIALLY when it rains & the water cannot flow away. Your Anti-virus Service scanned this email. It is safe from known viruses. For more information regarding this service, please contact your service provider. This message is confidential, and may contain proprietary or legally privileged information. If you have received this email in error, please notify the sender and delete it immediately. Internet communications are not secure. You should scan this message and any attachments for viruses. Under no circumstances do we accept liability for any loss or damage which may result from your receipt of this message or any attachments. Kym Downey, as result of the restructure, is responsible for formulating Council’s future Capital Works Budgets . The request for kerb and channel will have to be considered by Council. Kym will contact Natalie and explain the process to her. Just wondering if my request for curbed guttering in Hasted st Roma has been ignored?? Reason why I ask is because I have not heard any correspondence from the Council in regards to curbed guttering. My request was made January 2012 (last year) & then further followed up in July. I have also noticed that Twine st is getting guttering & I can only presume so is the eastern side of Wyndham st……? Any plans for Hasted Street in the VERY near future??? This is currently being investigate. However, these are the only complaints that we can find. Is there another complaint you are referring to for Hasted St/Courtney St? The information contained in the above e-mail message or messages (which includes any attachments) is confidential and may be legally privileged. It is intended only for the use of the person or entity to which it is addressed. If you are not the addressee any form of disclosure, copying, modification, distribution or any action taken or omitted in reliance on the information is unauthorised. Opinions contained in the message(s) do not necessarily reflect the opinions of the Maranoa Regional Council and its Agents. If you received this communication in error, please notify the sender immediately and delete it from your computer system network. Can I have the story behind this one this week please. I did have attached photos but I suppose photos won’t do it justice neither. Helen Allen has contacted Council with a request to gravel the access road to her property “Mountain Cottage”. This property currently does not have direct access to a public road. The existing formation is black soil. Mrs Allen has requested that this work be undertaken as a matter of urgency, pending the closing of a quarry on Mt Bindango Road. TRIM-Embedded:Name="Request to gravel access road.docx",Extension="docx",Size="75364",EncodedOffset="00000afc",EncodedSize="00000103132"
Here is the request as discussed. As I mentioned before we've got 17 years of our girls needing access to the school bus and our access road is Mitchell grass black soil which makes it impossible with the slightest be of rain. We've been trying to get assistance with this for the past nine years and have another 40 years here of paying rates which will be over $300K. Jim Blackburn is talking of shutting that quarry down possibly after the council leaves and we see this as our only chance. If not for anything else we need our road gravelled for medical emergencies. The last time we spoke about getting assistance from the council to gravel our access road you mentioned that it would have to be budgeted for so I resent through the request letter. I was wanting to know if it ever went before the council? I realise the council has been busy with the floods and elections and all but I was just wondering if you got a chance to have a look at the email I sent you in March? I sent this through to Mitchell as well and followed up with a phone call but still haven't heard anything. We've now got a new baby and we'd really like to have our property more accessible in case of emergencies. Subject:Fwd: Request to gravel access road - "Mountain Cottage", Donnybrook Rd. Here is more of the previous paper trail. Subject: RE: Request to gravel access road - "Mountain Cottage", Donnybrook Rd. Thanks for your email, and I apologise for the lack of response to your previous email. I will have your request investigated , and a response forwarded. Subject: Request to gravel access road - "Mountain Cottage", Donnybrook Rd. My name is Helen Allen and I am following up a request to gravel an access road and a couple of weeks ago I was told it would have to be budgeted for and therefore I needed to send the request to the CEO. This is a new gravel request, not gravelling due to flooding. The original request I sent through to Mitchell (we are on the boundary between Booringa and Bungil Shires) was in January 2012 and since then I have been chasing this up, getting redirected to various people and not getting anywhere. It would be much appreciated if you could have a look at this request and forward it onto the appropriate person if need. Executive Summary: The application seeks a Development Permit for a Material Change of Use – Accommodation Units (5 dwelling units) on land at 2 Crawford Street, Roma QLD 4455, described as Lot 1 on SP178384. The proposed development is consistent with the intent of the Residential Zone, however as submitted, the proposal does not comply with the Urban Area Code. The proposal seeks relaxations of the minimum boundary setbacks which are considered to compromise the residential amenity of the Urban Area. This report concludes that the conflict with the planning scheme may be resolved by reducing the number of units from five to four, to achieve adequate boundary setbacks and ensure the residential character and amenity of the Urban Area is maintained. 1. Refer to http://www.cmdg.com.au/ for the Capricorn Municipal Development Guidelines (CMDG). 1. Complete and maintain the approved development as follows: (i) generally in accordance with development approval documents and (ii) strictly in accordance with those parts of the approved development which have been specified in detail by the Council or Referral Agency unless the Council or Referral Agency agrees in writing that those parts will be adequately complied with by amended specifications. 2. Complete and maintain all operational, building and plumbing and drainage work associated with this development approval, including work required by any of the development approval conditions. 4. Where another condition refers to a specific published standard, manual or guideline, including specifications, drawings, provisions and criteria within those documents, that condition shall be deemed as referring to the latest versions of those publications that are publicly available at the time the first operational works or compliance approval is lodged with the assessment manager or approval agency for those types of works to be performed or approved, unless a regulation or law requires otherwise. 5. Major and minor event stormwater drainage systems are to be provided for the development site in accordance with the Queensland Urban Drainage Manual (QUDM) (Volume 1 text, Volume 2 Design Charts) and the CMDG – D5 Design Guidelines ‘Stormwater Drainage Design’. 6. Post-development stormwater runoff flows from the development site are not to exceed pre-development stormwater runoff flows to adjoining properties. 7. Roofwater and stormwater surface runoff is to be discharged to a lawful point of discharge in Miscamble Street and Crawford Street generally in accordance with Drawing No. SD.105 prepared by Steven Claridge Building Designer dated July 2012. 8. Stormwater must not be allowed to pond on the property being developed during the development process and after the development has been completed unless the type and size of ponding has been agreed in writing by the Council or as a specific development approval condition. 9. Any increases in volume, concentration or velocity of stormwater from the property being developed must be channelled to lawful points of discharge or to other storage or dispersal arrangements which must all be agreed in writing by the Council. 10. There must be no increases in any silt loads or contaminants in any overland flow from the property being developed during the development process and after the development has been completed. 11. The appropriate stormwater disposal system must be designed to include appropriate pollution control devices or methods to ensure no contamination or silting of creeks or other waterways. 12. Adjoining properties and roads are to be protected from ponding or nuisance from stormwater as a result of the works. Ensure the stormwater runoff from the site does not adversely impact on flooding or drainage (peak discharge and duration for all events up to the 100 year Average Recurrence Interval (ARI)) of properties that are upstream, downstream or adjacent to the site. 13. All construction works on site to be undertaken in accordance with the Institute of Engineers (Australia) (IEAUST) Soil Erosion and Sediment Control Engineering Guidelines for Queensland Construction sites. 14. If there is a possibility of erosion or silt or other materials being washed off the property being developed during the development process, the developer must document and implement a management plan that prevents this from occurring. 15. During construction, soil erosion and sediment is to be managed in accordance with Schedule 1, Division 1: “Standards for Construction Activity”. 16. The developer shall immediately clean up and satisfactorily remove any deposited construction material or silt runoff from the development site. 17. Repair any damage to existing kerb and channel, footpath or roadway (including removal of concrete slurry from footways, roads, kerb and channel and stormwater gullies and drain-lines) that may occur during any works carried out in association with the approved development. This will include the re-instatement of the existing traffic signs and pavement markings that may have been removed or damaged. 18. The development is to be connected to Council’s reticulated sewerage disposal system in accordance with the Water Services Association of Australia (WSAA) publication WSA02-2002 Sewerage Code of Australia (version 2.3) and the CMDG Design Guideline - D12 ‘Sewerage Reticulation’, at no cost to Council. 19. The development is to be connected to Council’s reticulated water supply system in accordance with the Water Services Association of Australia (WSAA) publication WSA03-2002 Water Reticulation Code of Australia (version 2.3) and the CMDG Design Guideline – D11 ‘Water Reticulation’, at no cost to Council. 20. The development is limited to a single water connection. 21. The development shall be connected to a reticulated electricity supply service in accordance with the relevant service provider’s requirements and specifications along with relevant building standards, requirements and specifications (as relevant). 22. If the premises is connected to a telecommunications service, then such works shall be undertaken in accordance with the relevant service provider’s requirements and specifications along with relevant building standards, requirements and specifications (as relevant). 23. All services installation, including sewer, water, gas, electricity and telecommunications connections to the respective networks, must comply with (i) the development approval conditions, (ii) any relevant provisions in the planning scheme for the area, (iii) Council’s standard designs for such work where such designs exist (iv) the Capricorn Municipal Development Guidelines (CMDG) where it applies (v) any relevant Australian Standard that applies to that type of work and (vi) any alternative specifications that Council has agreed to in writing and which the developer must ensure do not conflict with any requirements imposed by any applicable laws and standards. 24. Any conflicts associated with proposed and existing services shall be forwarded by the developer to the appropriate controlling authority for approval for any proposed changes. 25. The landowner shall be responsible for construction and maintenance of vehicle crossovers from the road carriageway to the property boundary and for obtaining any approvals that may be required and for complying with the applicable designs and standards. 26. Vehicular access from Crawford Street and egress to Miscamble Street shall be designed and constructed in accordance with CMDG standard drawing CMDG R-041 Rev B “Residential Driveway Slab and Tracks” dated 07/2011. All traffic is to be one-way through the development. The Entry and Exit to the site are to be appropriately signed in accordance with MUTCD Guidelines. 27. Vehicle crossovers must be located a minimum distance of one metre from any street signage, power poles, street lights, manholes, stormwater gully pits or other Council assets. 28. Vehicles entering and exiting the development site must be able to enter and leave in forward direction. Reversing out of development site shall not be permitted. Vehicle manoeuvres in this regard are to be totally contained within the development site boundaries. 29. All vehicle movements within the site shall be clear of proposed parking areas, buildings and landscape treatments. Vehicle parking bays must not encroach into swept paths for vehicle movements on the development site. 30. Vehicle access and manoeuvring areas are to comply with AS/NZS 2890.1:2004 Parking facilities Part 1: Off-street car parking. 31. Parking bay configurations (width and lengths) to be in accordance with AS/NZS 2890.1:2004 Parking Facilities Part 1: Off-Street Car Parking. 32. Disabled car parking bay shall be designed as per the requirement on development site in accordance with AS/NZS 2890.6:2009 Parking Facilities Part 1: Off-Street Car Parking. 33. All car parking spaces and driveway areas are to be sealed with an approved impervious surface. Surfacing shall consist of patterned concrete, reinforced concrete, concrete pavers, segmental clay pavers, asphaltic hotmix or two coat (primerseal/seal) bitumen seal. 34. All vehicular access and related items must comply with (i) the development approval conditions, (ii) any relevant provisions in the planning scheme for the area including Schedule 2: “Standards for Roads, Car Parking, Access and Manoeuvring Areas”, (iii) Council’s standard designs for such work where such designs exist, (iv) any relevant Australian Standard that applies to that type of work and (vi) the Capricorn Municipal Development Guidelines (CMDG) and (vii) any alternative specifications that Council has agreed to in writing and which the developer must ensure do not conflict with any requirements imposed by any applicable laws and standards. 35. No on–street parking is permitted at the frontage of development site on Crawford Street or Miscamble Street at any time. 36. Crawford Street is to be upgraded in accordance with Schedule 2: “Standards for Roads, Carparking, Access and Manoeuvring Areas” and the Capricorn Municipal Development Guidelines Section D1 Table D1.06.03 Access Street. These works will include but are not limited to widening of pavement and seal and installation of kerb and channel to full extent of the Crawford Street frontage. In lieu of these works being undertaken a contribution of $8,308.00 (GST included) is to be paid to Council. 37. No access to the site is permitted from Miscamble Street. A ‘No Entry’ sign is to be placed at the Miscamble Street frontage of the site in a location that is clearly visible from Miscamble Street. The sign is to be maintained in a legible state for the duration of the use. 38. Signage and line marking shall be provided in accordance with MUTCD requirements and AS/NZS 2890.1:2004 – Parking facilities Part 1: Off-street car parking. 39. Pavement line marking shall be provided to delineate vehicle parking bays provided on the development site. 40. Landscaping shall be provided on the development site in accordance with the approved plan SD.103 C, dated 27 August 2012, Site Plan. 41. Ground covers should fully cover the vegetated areas within one (1) year of planting. 42. Lighting of the site, including any security lighting, shall be such that the lighting intensity does not exceed 8.0 lux at a distance of 1.5 metres from the site at any property boundary. 43. All lighting shall be directed or shielded so as to ensure that no glare directly affects nearby properties. 44. A 1.8 metre high acoustic fence must be provided along the full length of the boundaries of the site, in accordance with approved plan SD.103 C, dated 27 August 2012, Site Plan. 45. Any damage to roads and infrastructure that is attributable to the progress of works on the site or vehicles associated with the development of the site must be repaired to Council’s satisfaction or the cost of repairs paid to Council. 46. Waste containers shall be placed in a screened area, and while the use continues, waste containers shall be maintained in a clean and tidy state and shall be emptied and the waste removed from the site on a regular basis. 47. The premises are to be maintained in a clean and tidy condition, free of weeds and long grasses and is not to pose any health and safety risks to the community. 48. Services and infrastructure required in connection with the establishment of the approved development must be provided at no cost to Council. 49. The developer is responsible for meeting all costs associated with the approved development unless there is specific agreement by other parties, including the Council, to meeting those costs. 50. Any conflicts associated with proposed and existing services shall be forwarded by the developer to the appropriate controlling authority for approval for any proposed changes. 51. All civil and related work shall be designed and supervised by RPEQ Registered Professional Engineers of Queensland (RPEQ) who are competent in the construction of the works. 52. All development approval conditions related to the establishment of the approved development must be fulfilled prior to any approved use commencing. 53. All necessary utilities and services must be connected and operational prior to the commencement of the approved use and maintained in good order after the use commences. 54. The developer is to notify Council upon completion of the conditions of approval and prior to occupation of the dwelling units. 55. An infrastructure contribution, in accordance with Council’s adopted Priority infrastructure Plan, of $63,000.00 is payable to the Council. The stated charge is to be paid prior to commencement of construction. Note: Development Contributions are to be paid in addition to any payments in lieu of development conditions. Body of Report: Refer to Attachment 1. - Ken Ryan and Associates Pty Ltd and Lou Scarpato Futureproof Strategies as part of the LOCAL GOVERNMENT PLANNING ALLIANCE (Development Assessment). - Public Notification was carried out in accordance with the requirements of SPA. - Engineering comment sought internally. Any conditions imposed will be at the cost of the developer. The proposed development is for Accommodation Units including five dwelling units on the site. The proposal comprises three buildings including one individual unit and two buildings each containing two units. Each unit will consist of three bedrooms, two bathrooms and a lounge, dining and kitchen area. The buildings will be single storey with a maximum height of 4.7 metres and a Gross Floor Area (GFA) of approximately 625 square metres. The development in its proposed form does not comply with the minimum boundary setbacks for Accommodation Units and is considered to compromise the residential amenity of the Urban Area. The proposal seeks a 3.5 metre relaxation of the building setback to the Crawford Street frontage of the site and 1.5 metre relaxation to north-eastern side boundary. This conflict with the Urban Area Code may be resolved by reducing the number of units from five to four to allow the buildings to be adequately separated from property boundaries. It is proposed that each unit be provided with two car parking spaces inside a double carport. Two visitor parking spaces are also proposed. With the removal of one of the units a total of 10 parking spaces will be provided on site. Motor vehicle access to the site will be obtained via a new crossover from Crawford Street and egress via a new crossover to Miscamble Street. Adequate manoeuvring is provided for ingress and egress from the carports and from the site. Landscaping is proposed along both the Miscamble Street and Crawford Street frontages of the site and southern boundary, to enhance the visual amenity of the development from the street and adjoining sites, and to screen the development. “Accommodation Units” means any premises comprising an integrated development of dwelling units and/or rooming units. The term includes multiple dwelling units, retirement villages and apartment houses. The site is situated at 2 Crawford Street, Roma QLD 4455 and described as Lot 1 on SP178384 (refer Figure 1 - Locality Plan). 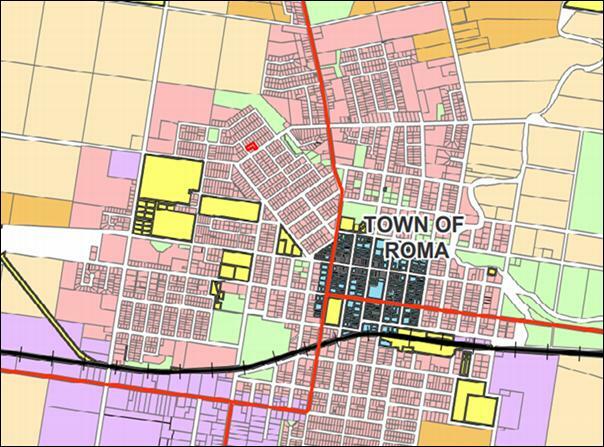 The site is situated in the Residential Zone of the Town Area in the Roma Town Planning Scheme 2006 (refer Figure 2 - Zoning). The site is currently vacant. The site is adjoined to the north-west and north east by single storey residential dwellings. To the south-east of the site is six accommodation units contained in a single building. The site is bound by Crawford Street to the south-west and has a narrow frontage to Miscamble Street to the south-east (refer Figure 3 - Aerial Photograph). There is no conflict with these provisions of the Sustainable Planning Act 2009. The development proposal is not in conflict with the intent of the zone within which it is proposed, however it does present conflict with the Urban Area Code with respect to residential character and amenity. The proposal, as submitted, requires substantial boundary relaxations which will adversely impact on local character and residential amenity. By reducing the number of units from five to four, compliance with the minimum boundary setback requirements can be achieved, which will ensure the residential amenity of the locality is not compromised by the development. (i) The areas of high scenic amenity, remnant vegetation, wetlands, fauna habitats and wildlife corridors and regionally significant open space in the town are protected. The subject site is located in a residential area and contains minimal vegetation and no features of environmental significance. The proposed development will not impact on any other environmentally significant areas, including wetlands, habitats, corridors and open spaces. The subject site is not identified as being susceptible to land degradation. Nevertheless the proposed development does not involve any works which may result in such issues. The proposed development will not adversely impact on water or air quality nor adversely impact on the biodiversity of the area. The subject site is not identified as being in proximity to, or a place of, historical, cultural or social significance. (i) Business and commercial development shall be located within the Commercial Zone to promote and strengthen the existing central Business District. (ii) The Central Business District (CBD) or inner core of the Commercial Zone is intended to contain the more intensive commercial uses. Entertainment facilities and tourist accommodation will also be favoured within and adjacent to the CBD to provide a central focus of activity and promote vitality after office hours. The proposal is for residential development in a residential area and will not compromise the location of business and commercial development with the Commercial Zone and CBD. (iii) Beautification and improved parking facilities will enhance the efficiency, attractions and vitality of the Town CBD. The proposed development is for residential development within close proximity to the Town CBD. (iv) Tourism will be promoted with significant economic and social benefits to the town as a regional centre with close association with the oil and gas industry and the proximity of the Carnarvon National Park. The proposed development is for residential development in an established residential area and will not adversely impact on the promotion of tourism. (v) Industry, business and employment opportunities are improved and appropriately located to service the community and region, and encourage economic activity within the local area. The proposed development is for residential development within an established residential area and will not adversely impact on industry, business and employment opportunities. (i) Convenient access to roads and services is achieved through well located land uses and the efficient use and timely provision of infrastructure such as water, sewerage and roads walkways and cycling facilities. The proposed development is located within an established residential area, and will be connected to reticulated water, sewer and electrical infrastructure. (ii) Infrastructure networks such as road and rail, water cycle and electricity infrastructure are protected from encroachment by sensitive land uses which may adversely affect or limit the normal operation of that infrastructure. The proposed development will gain access from Crawford Street and egress to Miscamble Street, via a new crossover to each street. The proposed development will not encroach on any established infrastructure networks. (iii) Rural residential and urban residential development occurs in distinct localities that provide a sense of community, amenity, services, and a safe, affordable living environment, whilst maintaining the rural amenity of the Town Area. The proposed Accommodation Units will be located within an established residential area. Appropriate setbacks and landscaping to the boundaries of the site will ensure the rural amenity of the area is maintained. The development is for Accommodation Units for four dwelling units, and will increase the range of housing types available to the community. (vi) Community well being is not compromised by inappropriate development that impacts upon noise levels, traffic volume, lighting levels, local amenity. The proposal is for a residential use within a residential area. The proposed development will minimise adverse impacts to surrounding residential uses through acoustic fencing and landscaping at the side and rear boundaries, sufficient manoeuvring on the site for vehicles and control of lighting emissions. (a) Roma is a focus for a range of business, industrial, tourist, community and recreational activity in the local government area. The proposed development is for a use that will support the expansion of business, industrial, tourist, community and recreation activity in the local government area. (b) Business and commercial development is located primarily in the CBD to provide central and accessible services to the local government area. The proposal is for Accommodation Units and will be located in an established residential area. The proposal will not compromise the location of business and commercial development within the Commercial Zone. (c) The residential and heritage character and amenity of the Urban Area is retained. The proposed buildings are limited to one storey and 4.7 metres in height and will be screened from Crawford Street and adjoining residences by acoustic fencing and landscaping along the boundaries. The development proposal seeks a reduction of the minimum boundary setbacks to the Crawford Street frontage and north-eastern side boundary which are considered to compromise the residential character and amenity of the Urban Area. A reduction in the number of units from five to four will ensure the scale of the development and building siting, in conjunction with the proposed screening, will retain the residential character and amenity of both the streetscape and the wider Urban Area. (d) Safe and convenient access for pedestrians and cyclists is maintained and enhanced. The proposed development will maintain a high level of amenity and permeability along pedestrian pathways at the Crawford Street and Miscamble Street frontages of the site through landscaping and appropriately located and safe vehicle access. (e) Residential (including Rural Residential) development occurs where there is no adverse impact on Good Quality Agricultural Land. The site is located in an established residential area and is not mapped as containing Good Quality Agricultural Land (GQAL). The proposed Accommodation Units will therefore not result in fragmentation or reduction of GQAL. (f) Residential development is buffered from the existing and proposed road and rail corridors to minimise any detrimental impact. The proposed development is located within an established residential area, which is well protected from road traffic noise levels. Landscaping and acoustic fencing along site boundaries will assist in mitigating any internal road traffic noise impacts on adjoining properties. (g) Residential development accommodates a range of housing types and allotment sizes, and provides a safe and pleasant living environment, with adequate access to community services and is located in the residential preferred areas shown on the Urban Area Maps in the appendices. The development proposal as amended to achieve adequate boundary setbacks, will comprise four dwelling units. The proposed development will increase the range of housing types available to residents in Roma and is located in close proximity to community services and facilities in the town centre. The proposed development will maintain a safe and pleasant living environment both in the immediate surrounds and the wider area, by providing sufficient on-site car parking, acoustic fencing and landscaping. (h) The expansion of residential development occurs in areas where it is most cost effective to supply physical infrastructure, such as water, sewerage, roads and electricity. The site is currently well serviced by physical infrastructure, such as water, sewerage, roads and electricity. (i) Efficient and equitable access to social infrastructure, such as schools, neighbourhood shopping, community services, public transport services, and parks are provided in residential areas. The proposal is located in a well established residential area with efficient and equitable access to social infrastructure. (j) Industrial development is located in the Industrial Zone of the town (see maps in appendices). The proposal is not for industrial development. (k) Impacts of industrial uses are required to be within acceptable limits and uses are undertaken in a sustainable manner consistent with the amenity and character of the area concerned. (l) Small scale business, community and emergency services are provided for the needs of the local community. The proposed development is for Accommodation Units in the Residential Zone, and will not adversely impact on provision of small scale business, community or emergency services. (m) All Areas other than the Commercial Zone are protected from shopping centre and other forms of commercial development. The proposal is for Accommodation Units in the Residential Zone. The proposed development is located in established urban area with access to electricity infrastructure. The proposed development is in a well established urban area with reticulated water supply available. Each unit will be provided with a 3,000L capacity rainwater tank for roof water runoff and reuse for non-potable uses. The proposed development is in a well established urban area with reticulated sewerage available. The proposed development will gain access via a new crossover from Crawford Street. Egress will be to Miscamble Street via a new crossover. Access will be designed and constructed in accordance with Schedule 2: “Standards for Roads, Car parking, Access and Manoeuvring Areas”. N/A – The proposed development is not for a Dwelling House. The proposed development includes a total of 10 car parking spaces. This exceeds the requirements in Schedule 2: Standards for roads, car parking, access and manoeuvring areas in the Roma Town Planning Scheme for Accommodation Units. The proposed driveway will be developed to a standard that provides for all weather road access between the premises and the existing road network. The proposed development will not gain access from a State Controlled Road. The proposed development is not located adjacent to a State controlled road. The proposed development is located within an established residential area, which is well protected from road traffic noise levels and has a high level of residential amenity. Landscaping and acoustic fencing along site boundaries will assist in mitigating any internal road traffic noise impacts on adjoining properties. (c) does not restrict the future operational demands of the aerodrome. (f) transient intrusions into the aerodromes operation space. The subject site is within an established residential area and is located at an appropriate distance from pipelines. The proposed development is not within 100 metres of existing or proposed rail corridors. N/A – The proposed development does not adjoin a rail corridor. The site is not mapped as being affected by a 1 in 100 year flooding event. The proposal is for residential development and will not cause environmental harm or nuisance from air emissions. The proposed development is for Accommodation Units and is expected to generate negligible noise emissions. A 1.8 metre high screen fence and landscaping on the side and rear boundaries will further reduce potential noise impacts on adjoining dwellings. This will be imposed as a condition of approval. (e) Minimises nuisance or harm to adjoining land owners. A 3,000L rainwater tank will be provided for each unit, for roof water runoff and reuse for non-potable uses. Site stormwater is able to be discharged to Miscamble Street. erosion control and silt collection measures will be implemented during construction to ensure protection of environmental values. The proposed development is not mapped as containing a Medium or High Bushfire Hazard Area. The site is not in proximity to known places of indigenous and/or cultural heritage value. The height of residential buildings is compatible with and complementary to the character of the urban environment. The proposed development will have a maximum height of one storey and 4.7 metres. (a) Residential building design and siting maintains the character of the locality in terms of building bulk. (b) Residential buildings are located to ensure the local amenity and streetscape are protected and enhanced. The development proposes a setback of 3.5 metres to the Crawford Street frontage of the site, 30 metres from the Miscamble Street frontage, 4.3 metres from the north-western side boundary, 6.5 metres from the south-eastern side boundary and 1.5 metres from the north-eastern side boundary. The proposal does not achieve the minimum setback requirements of 7 metres to the Crawford Street frontage of the site and 3 metres from the north-eastern side boundary. Conditions of approval will require the removal of the single detached unit to allow adequate separation between the remaining four units and these boundaries. The amended proposal will protect the amenity of the streetscape and ensure the residential character and amenity of the urban area is retained. Due to the shape of the property, the north-eastern boundary of the site presents as a side boundary to the adjoining property at 89 Miscamble Street. The adjoining property will be buffered by a 1.8m high fence and the boundary will also be landscaped in accordance with the site plan. The site cover of the proposed development is 42.5% which is marginally in excess of the 40% threshold for accommodation units. By removing one of the units the site coverage of the development will equate to 34% of the total site area. The location and design of dual occupancies provides for adequate privacy, sunlight, ventilation and open space. Each unit is provided with private open space with a minimum area of 56 square metres. There is potential for the private open space areas to be increased with the removal of one of the units. All buildings will be limited to a maximum height of 4.7 metres and one storey to ensure that access to sunlight and ventilation is not obstructed to adjoining properties. (c) located to give privacy and buffering from any potential incompatible uses. (d) Located to avoid interference with electricity lines and infrastructure. Landscaping will be provided at the rear (north-eastern) boundary, south-eastern side boundary and the Crawford Street frontage of the site to screen the development from adjoining uses and maintain the visual amenity of the site. Landscaping will also be provided throughout the site, along the internal driveway and car parking spaces. Residential amenity is to be maintained. For Non Residential Activities located in the Residential Zone. N/A – The proposed development is for Accommodation Units, which is a residential activity. N/A – The subject site is located within the Residential Zone. N/A – The proposed development is for Accommodation Units. No submissions were lodged to Council during the public notification period. 4. 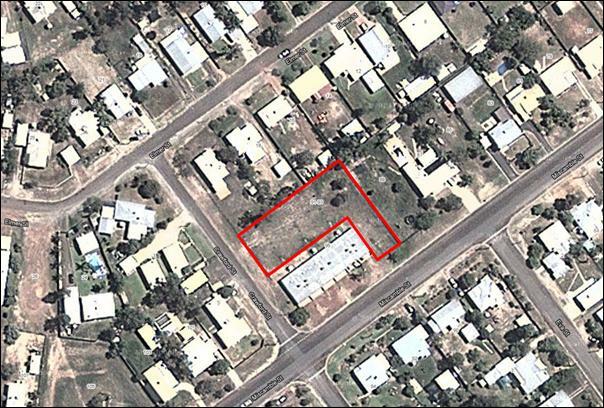 Development Approval 2012/18195 for a Material Change of Use - Accommodation Units (4 dwelling units) situated at 2 Crawford Street, Roma QLD 4455, described as Lot 1 on SP178384. $63,000.00 is payable as infrastructure charges. This is based on an adopted charge of $21,000.00 per 3 bedroom dwelling unit. A discount of $21,000 is applicable based on the monetary equivalent of the existing lawful use of the premises. This charge is levied in respect of a Development Approval for a Material Change of Use - Accommodation Units (4 dwelling units) situated at 2 Crawford Street, Roma QLD 4455, described as Lot 1 on SP178384. Prior to commencing construction of the approved development. The Maranoa Regional Council Resolution to adopt Infrastructure Charges for the Roma Planning Scheme under the State planning regulatory provision (adopted charges) 2102 – effective 26 September 2012, provides for increases in charges to be made in accordance Section 7 of that Resolution. The increases are related to the Consumer Price Index (all Groups) for Brisbane. When does an AICN lapse? An AICN lapses if the corresponding development approval or compliance permit stops having effect. A person who receives an AICN may make a written representation (e.g. a letter, facsimile or email) about the AICN to the entity that gave the notice (i.e. local government or a water distributor retailer) (Chapter 8, Part 4 of the Sustainable Planning Act 2009 (SPA)). If the entity agrees with any of the representations, the entity will issue a negotiated AICN which replaces the original notice. SPA also provides for representations to be made about decision notices under Chapter 6, Part 8. Where a negotiated decision notice affects the amount of an adopted infrastructure charge, the local government may issue a new AICN to replace the original notice (section 364 of the SPA). A representation about an AICN or a decision notice must be started during the period within which the person may make an appeal about the AICN or the decision notice. A permissible change, is a minor change to a development approval that would not result in a substantially different development (section 367 of the SPA). An AICN, or negotiated AICN, cannot be issued as part of the process for a permissible change to a development approval. In this regard, a permissible change to a development approval should not result in a change that warrants a new AICN.  an error in the calculation of the charge. A person has 20 business days to start an appeal against an AICN or negotiated AICN. Another way to appeal against an AICN or negotiated AICN is the Building and Development Dispute Resolution Committee (Committee). The Committee provides an accessible, affordable and timely service for members of the public not satisfied with decisions made by local governments and private certifiers. Errors in the calculation of the charge can be appealed to the Committee, under section 535 of the SPA. An appeal against an AICN or negotiated AICN, to either the Court or the Committees, is not an appeal against a development application, development approval, compliance assessment or compliance permit. As such, an appeal does not affect the period in which the corresponding development approval or compliance permit takes effect and lapses. (b) a negotiated infrastructure charges notice, negotiated regulated infrastructure charges notice, negotiated adopted infrastructure charges notice or negotiated regulated State infrastructure charges notice. (2) The person may appeal to the court against the notice. (3) An appeal against a notice mentioned in subsection (1) must be started within 20 business days after the day the notice is given to the person. (b) an error in the calculation of the charge. (5) To remove any doubt, it is declared that an appeal under this section can not be about the methodology used to establish an adopted infrastructure charge or the charge in a relevant infrastructure charges schedule, regulated infrastructure charges schedule or regulated State infrastructure charges schedule.